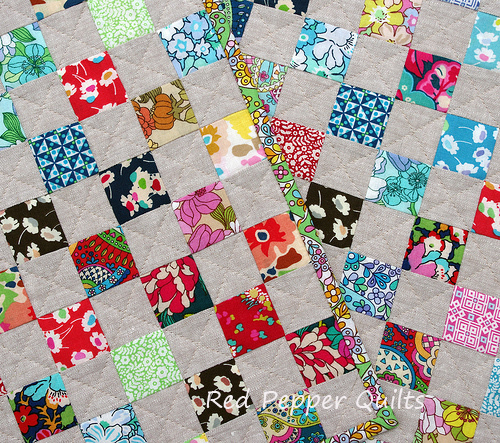 Invited to create a small project for the Liberty Lifestyle Craft Blog I was happy to oblige. With Liberty Lifestyle stash on hand I could not resist combining the saturated colors of the Bloomsbury Gardens collection with a textured linen - Robert Kaufman Yarn Dyed Essex Linen in Flax. 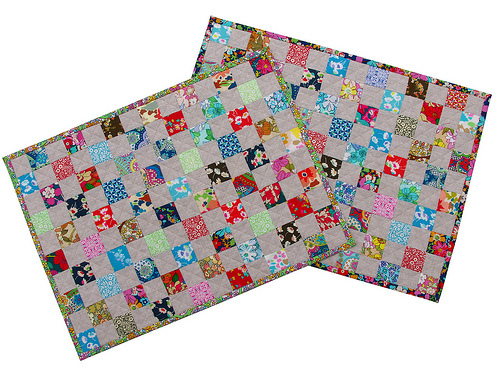 I absolutely love the look of simple patchwork squares - especially on small scale project - and have made a set of four placemats featuring two different designs. A tutorial for this project - including fabric requirements and step by step instructions - to create your own set of placemats can found right here: Liberty Lifestyle Craft Blog. Dress up your table setting! 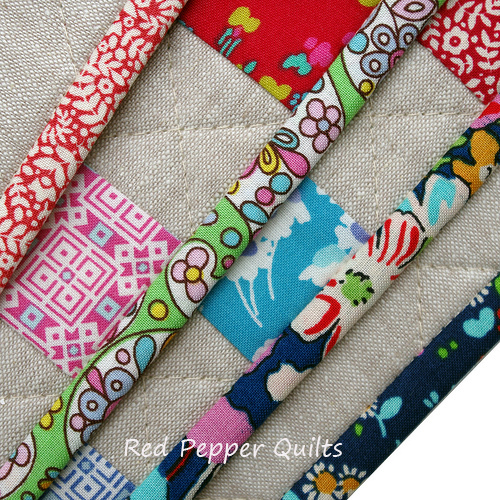 I have listed this set of four placemats in my Etsy Store. These sold so quickly on Etsy:(. 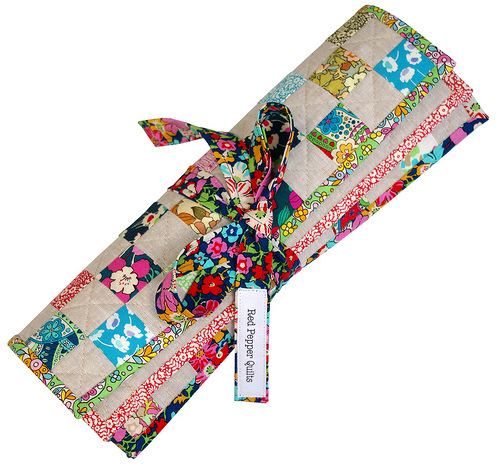 I know you're super busy, but would you consider an order for another set of these placemats in the Liberty fabric. 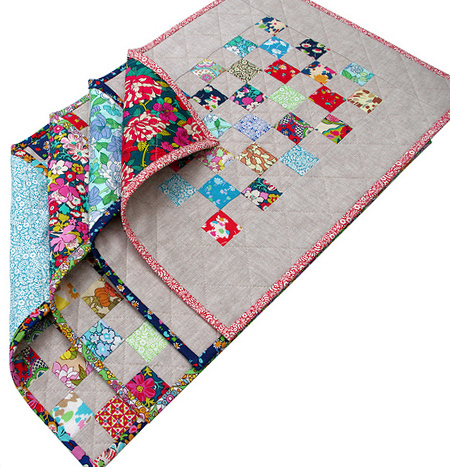 I have a lovely quilting friend who adores Liberty and they'd make the perfect birthday present. Thanks so much for the inspiration that your blog brings. These are wonderful. I especially love the fabrics on the linen background. Love these...the linen really sets off the liberty! where do you get your tags? love them! Gorgeous! I particularly like the combination with the linen. Lovely. You have given me some ideas about what to do with some jute cotton I have been hoarding. But of course, your piecing is brilliant, as usual. Hi Love them!!!! The combination of linen gives it a real farm style look!!!! Hi Rita! Wonderful combination with the Kaufman Flax. I really love these placemats. Beautiful work! Absolutely Stunning. You do such beautiful precise work!